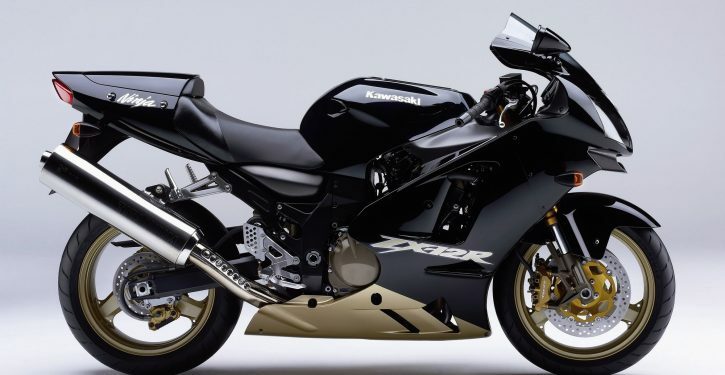 When the first A1 model appeared early in 2000, it was rumoured that the bike could top around 190mph – maybe more – but (of course) pretty soon in came a manufacturer’s top speed limit of 186mph on the litre sportsbikes and hyperbikes that could get to such a speed. But could the Ninja get to such a speed? The motor itself was a peach of a power unit – but then this was a Kawasaki. The fuel-injected 1199cc motor pumped out a claimed (and cool) 177bhp. Holding it in check was a monococque chassis, allegedly inspired by the firm’s KR500 GP bike from the late 1970s/early 1980s, the one once raced by Kork Ballington. 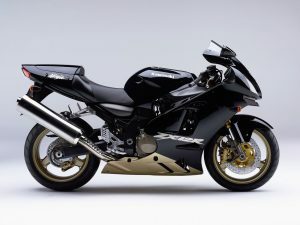 Today, a number of bikes use such a system, so the 12R was ahead of its time. If the bike had any issues at launch it was the fuel economy/fuel range, which was pretty poor – some riders would see barely 110 miles on the trip before the reserve light came on. Also, that injection system could be a little jerky – but then many FI bikes were back then – even Hondas. Those first bikes did have a couple of recalls too: one for the overflow pipe in the fuel tank and one on the securing nuts on the tyre valves which could crack… Blimey! The brakes were OK, but were later improved with the 2004-on version which came with powerful radial jobbies instead of the much-maligned six-pot Tokicos… What was good was both build quality and overall reliability. If there’s a model to go for we’d plump for either the first or the last. First as they looked amazing in green (or red) and – well – they’re the first of the breed. The last as, coming with all the refinements and the better brakes, they’re just better all-round.